Come and join Run Waihi for a 5k run/walk every Saturday morning. The start line is right across the road from the Waihi i-SITE. 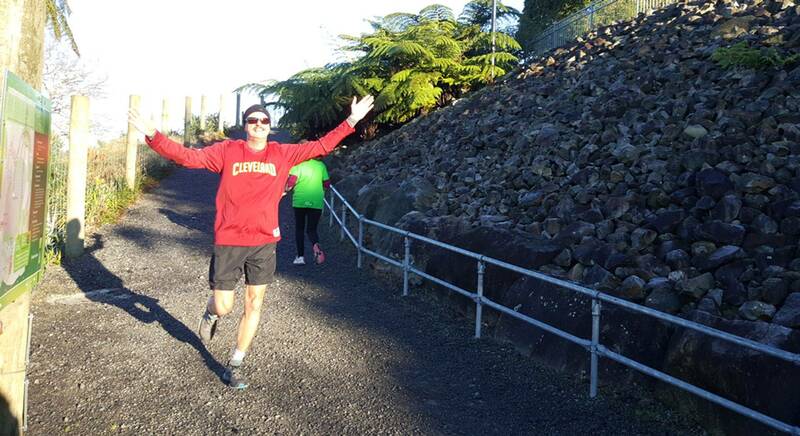 RUN WAIHI is a local initiative designed to get like-minded people active on a regular basis. It's pretty simple — you turn up, you check in, you run (or walk) 5km. It can be as competitive or as social as you want, and when you've finished you can catch up with friends (new and old) over coffee, or if you're keen, you can keep on running. We'll record your 5k times and publish them on our Facebook page so you can check your fitness progress over time. It's free! We might ask for your help once in a while to look after the timing, but that's all. It's about regular exercise and having fun with friends. Running/walking shoes appropriate for the surface. It's a trail run that's mostly gravel but there's a small section of grass. A jacket/raincoat just in case. Your favourite 'fuel' and hydration. A leash for your dog. If you'd like you time recorded, you can pre-register here or register on the day. We start at the entrance to the Pumphouse opposite the Waihi i-SITE, and complete one full (clockwise) lap of the Pit Rim Walkway, then we carry on out to a turn around point and head back to the start line. 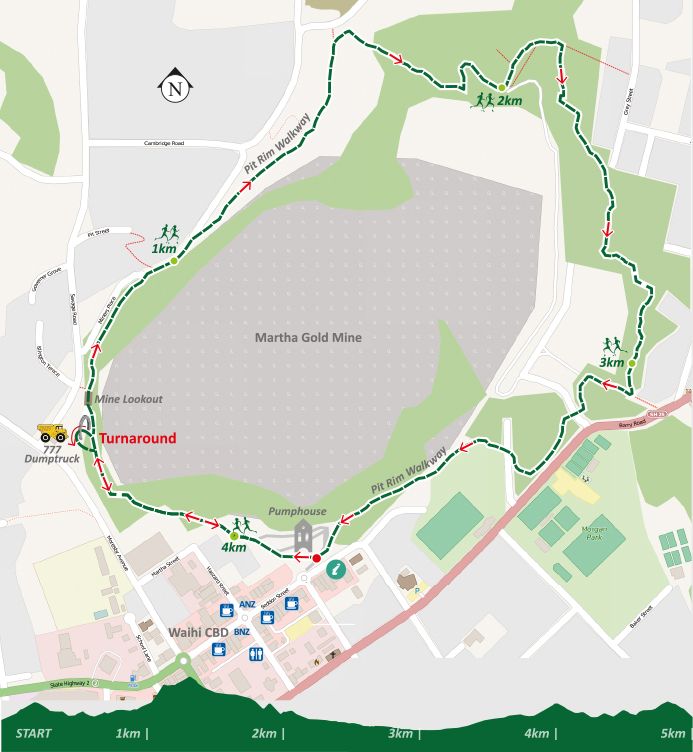 It's a great course that's not too hilly and has lots of variety, and it's handy to town for cafes and shops.